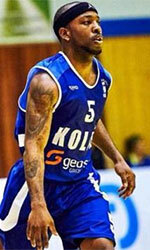 Al Ahly Tripoli (D1) inked 30-year old American guard Justin Tubbs (190-93kg-87, college: East Tennessee State). HeAl Shamal in Qatari D1 league, but left the team in Dec.'16. In 6 games he recorded very impressive stats: 22.3ppg, 4.2rpg, 4.5apg and 1.3spg last season. Among other achievements Tubbs' team was regular season runner-up in A-Sun in 2011. He received also USBasket.com All-NBL Canada Newcomer of the Year award back in 2014. Tubbs is a very experienced player. He has quite traveled the world as his pro career brought him to eleven different countries on three different continents (Europe, Asia and of course North America). Tubbs has played previously professionally in China (Hunan), France, Georgia, Germany (Crailsheim Merlins), Greece (Panionios), Israel, Korea (LG Sakers), Lebanon (Homenetmen), Canada (Halifax Rainmen), CBL (Birmingham S.) and UBA (Tennessee D.). 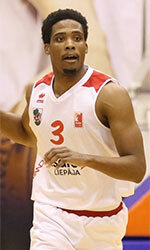 He attended East Tennessee State until 2011 and it will be his seventh season in pro basketball. Tubbs' game is described as: A very athletically gifted players, with a combination of athleticism, strength, speed and quickness that make him very hard to guard and stop.